You will need to dig around the site, as there’s some discounts in different categories including beauty and fragrance. 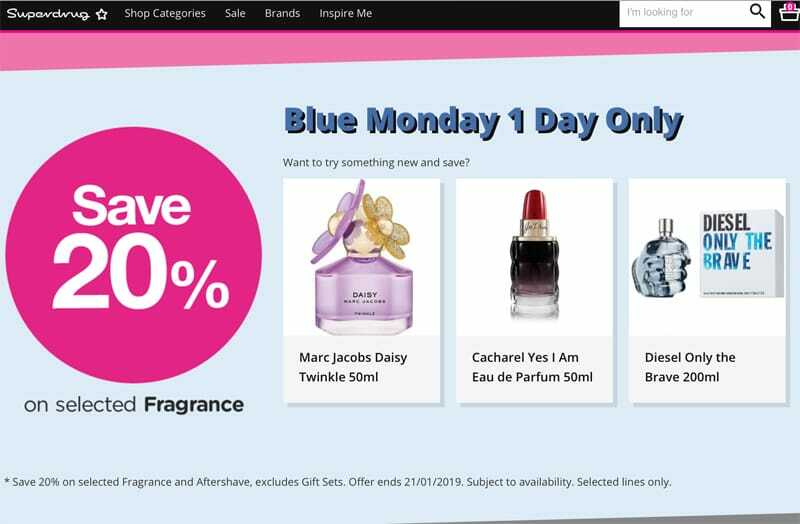 We noticed the Blue Monday One Day Only specials on ladies and mens fragrances, also a 20% saving on selected Barry M as well. You can see both the said offers via the homepage online at Superdrug.